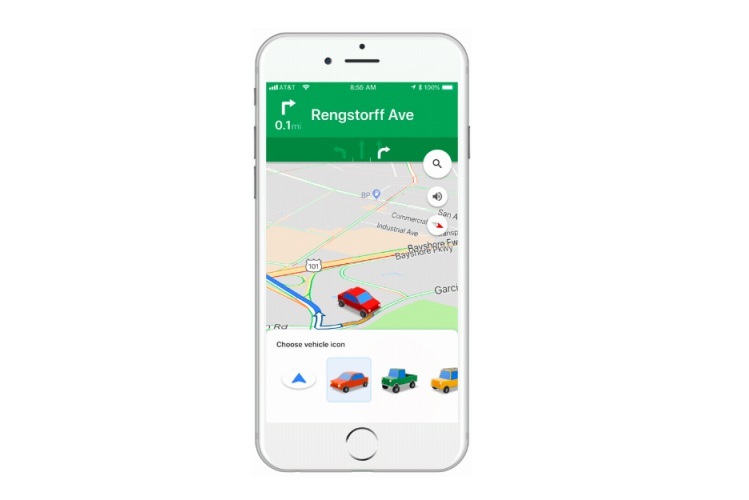 Google is trying to make navigation on iOS devices a little more fun. 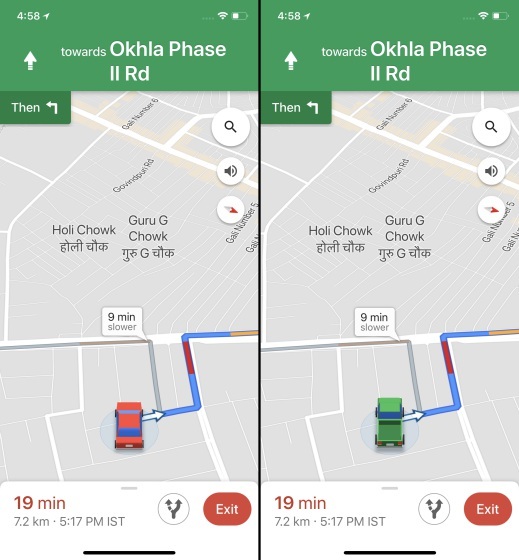 Earlier this week, Google Maps bagged the functionality to change the simple and bland navigation arrowhead with adorable little cars. Note: I tried this navigation feature on Google Maps (version 4.50) on iPhone X, running iOS 11.2.5. 1. Input the destination in Google Maps on your iPhone and start navigating to see the ‘blue’ arrow icon. 2. Tap on the blue arrow icon to see a pop-up with three car options. You can then select any of them to replace the arrow as the direction guide. 3. Once you have changed the arrowhead, the navigation screen on your iOS device will look like this. The cars have a bouncing-animation which shows that the ignition is on and it’s ready to move. 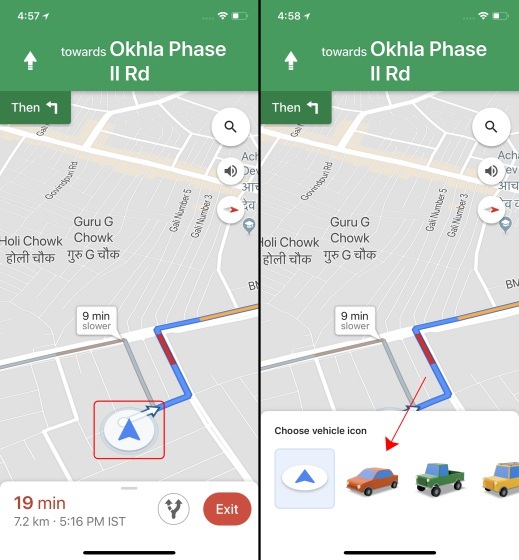 Currently, Google has rolled out this fun experiment exclusively to iOS device owners and there’s no word on when this feature will come to Google Maps on Android. It is surprising to see that Google is giving new features (even though minor ones) to iPhone users before their own community. So, until I wait for the navigation cars to come to Android, hope you have some fun riding around town – but safely. How do you like this feature? Tell us in the comments below.